I have some fun news . 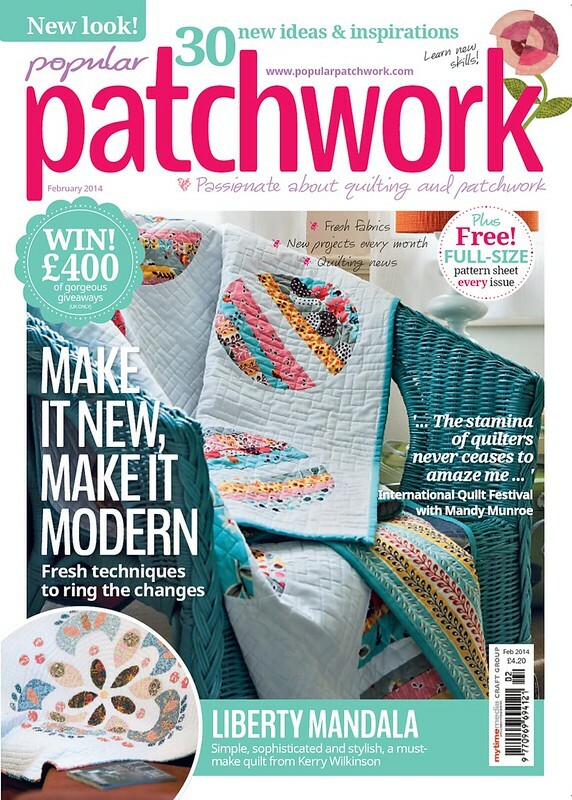 . . my String Circles quilt from Modern Bee is featured on the cover of February's Popular Patchwork magazine! The issue also includes the full quilt pattern. So you might see it on newsstands if you are located in the U.K. It's been a true honor to read all of your positive feedback from the book and to see so many beautiful projects in the works from the members of Modern InstaBee (#moderninstabee2014) on Instagram! 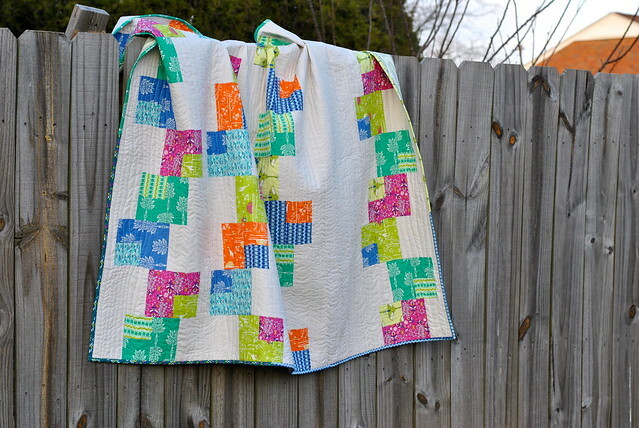 I also shared a recent quilty finish on my other blog Craft Buds, for the Safari Moon blog hop. Head on over to see more pics of my Playing Cards quilt, which is the February pattern from Modern Bee. I'm going to attempt to sew a version of each pattern from the book this year. Do you think I can do it?! YES! You can do it!!! Love the colors in the cards quilt. Yes, you can do it!! I love the way you did this one. I wanted to stop in and show you another one I did from your great book. Here is the link if you'd like to see.